Have you ever struggled when treating a patient with Plantar Fasciitis? Have you considered at times that maybe the patient really did not have plantar fasciitis? Ever wonder if your patient?s poor foot alignment is a contributing factor in their back, knee or hip pain? Don’t know when a patient should have a custom orthotic? Then you owe it to yourself and your patients to attend this course. Come and learn how to perform an effective differential diagnosis process for foot and ankle problems, learn what your textbook may have failed to explain, and how biomechanics of the foot can create symptoms from the foot to the lumbar spine. This course is presented over 2 days to provide intermediate to advanced levels of instruction to allow clinicians to gain practical and useful knowledge for evaluation and treatment for dysfunctions related to the foot and ankle. This course will begin with reviewing bony anatomy and joint function of the foot and ankle complex and using this information to delineate a structured evaluation and specific functional treatment techniques. Through a detailed course manual providing written descriptions, illustrations and selected post/preoperative protocols, emphasis will be placed on understanding biomechanical alignment as well as treatments for isolated weakness and range of motion deficits occurring in various foot and ankle diagnoses. The instruction manual will also provide useful evaluation forms as well as examples of suggested treatments. Clinicians will learn static and functional evaluation and screening techniques to guide differential diagnosis and promote thorough treatment plans for many foot and ankle pathologies including plantar fasciitis, posterior tibial tendon dysfunction, as well as forefoot disorders such as metatarsalgia. The evidenced-based approach provides an unusual approach to foot and ankle education as it integrates assessments across several areas of specialization including physical therapy and Pedorthics that include immediately useful joint mobilization, flexibility and strengthening activities, as well as indications for foot orthotic and specific shoe recommendations. Case studies and group discussions will be utilized to ensure that the participant can implement learned techniques in the clinical setting. Lab portions of the course will allow individualized instruction in palpation, motion testing, therapeutic exercises, as well as joint and soft tissue mobilization/manipulation for specific range of motion limitation effecting common clinical entities. These techniques will be used to enhance the treatment techniques that the clinicians are presently using in their own practices. Perform a systematic approach evaluating lower extremity biomechanics. 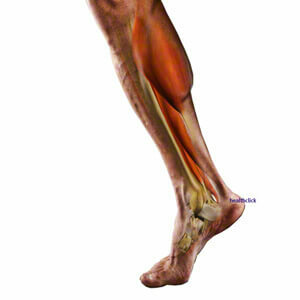 Discuss the normal and pathological function of the lower extremity. Identify common clinical entities of the foot and ankle through differential diagnostic processes. Formulate and implement a comprehensive foot and ankle therapeutic exercise program. Identify normal and abnormal accessory motion of ankle, rearfoot, and forefoot. Implement appropriate mobilization techniques to enhance joint range of motion. Determine when foot orthotic therapy is an indicated treatment. Describe the common surgical techniques of the foot and ankle and their relationship to post surgical rehabilitation. Discuss the rationale for appropriate differential diagnosis for rearfoot, forefoot and ankle pathology.